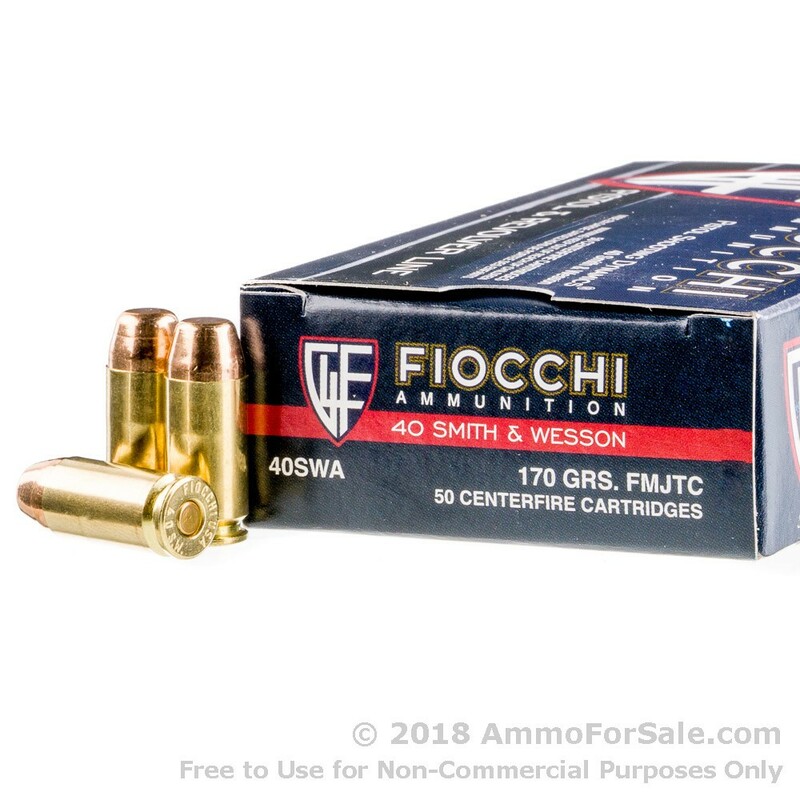 This .40 Smith & Wesson 170 grain full metal jacket flat nose (FMJFN) ammunition from Fiocchi is great for high volume shooters. An excellent choice for target practice, training, and plinking, you’ll appreciate the versatility and reliability of this round. In terms of performance, Fiocchi is a top choice among ammunition manufacturers. 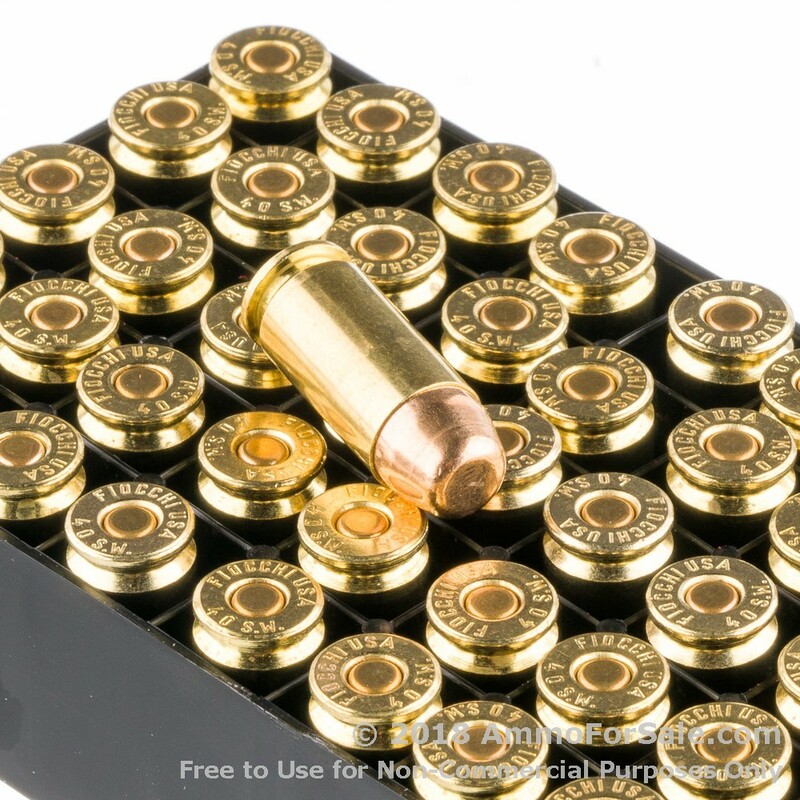 When ordering this ammo, expect 50 rounds of brand new ammunition to be delivered to the address of your choice. If you're looking for bulk ammo, don't miss the 1,000 round case quantity of this same Fiocchi .40 S&W ammo. 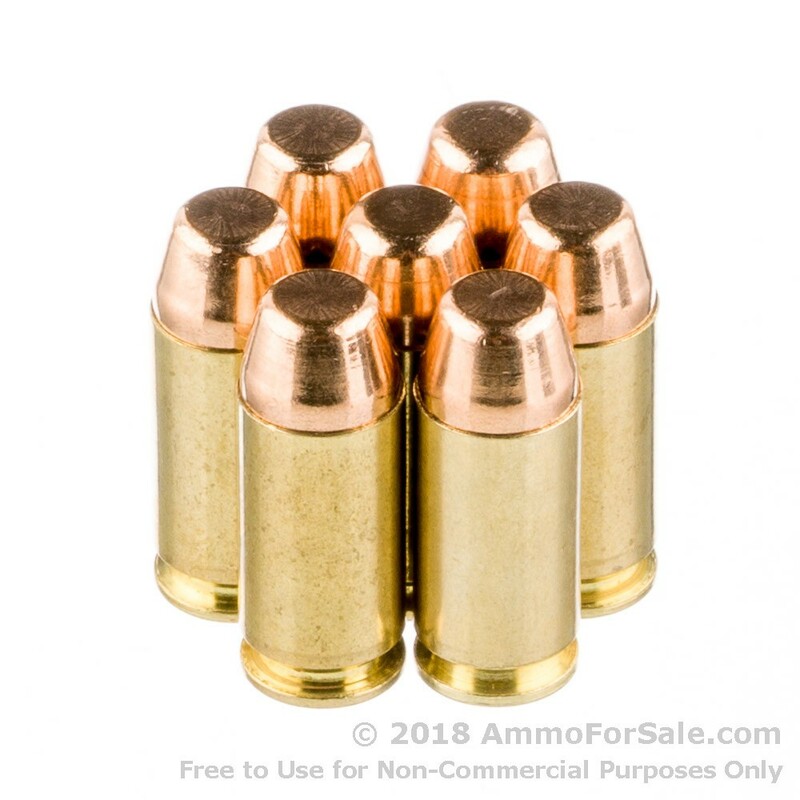 Fiocchi manufactures this ammunition using non-corrosive, boxer-primed, reloadable brass cases with a 170 grain full metal jacket flat nose projectile. With an expected muzzle velocity of 1020 feet per second, this round has the power you would expect from .40 Smith & Wesson ammunition. Fiocchi ammo is NATO certified, and the commercial ammo comes from the same production line. That means you get military quality in a commercial product, suitable for many applications. Fiocchi is headquartered in Italy, but the company manufactures 75% of its pistol ammunition in the United States. Fiocchi has worked hard to build an excellent reputation since 1872. In fact, the company has received many awards that recognize its quality and performance. If you’re looking for high quality practice ammo in .40 Smith & Wesson, Fiocchi is the perfect choice. 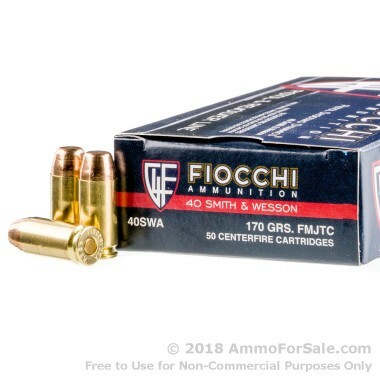 When you purchase this Fiocchi .40 S&W ammo, you get one box containing 50 rounds. Order yours today and test our world class shipping!